If you like to sing and make new friends every day then, Choir is the organization for you. All you have to do is sign up to take that class and you’re automatically in! This is an organization where students can learn many skills like how to sing classical songs correctly, learn how to sight read music sheets, how to count beats, and so much more. The purpose of this class/organization is to help students express themselves through music. If you are majoring in music, choir could be a stepping stone for you. There are many activities in Choir. 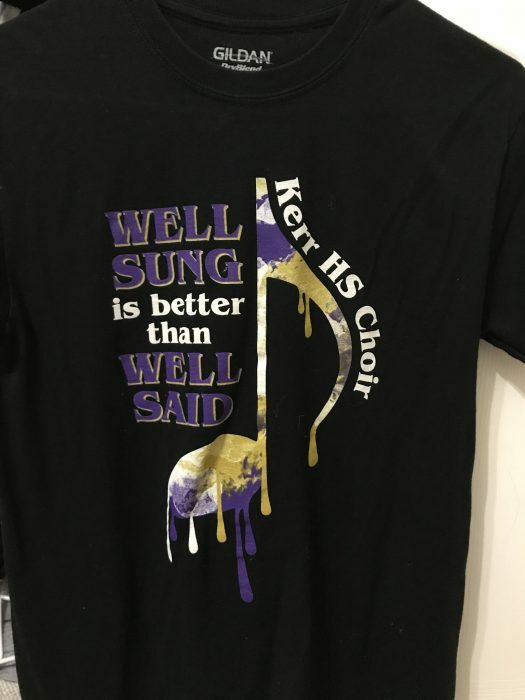 In the beginning of the school year, they always host a “choir social”, this is an event that lets students have fun and meet the other choir members from other classes. There are also potlucks and parties for special occasions like Thanksgiving, Christmas, and more. Did you know that choir does not have midterms and finals, instead they just have a potluck during class? Besides that, choir also host many concerts to showcase the hard work students have been working on. Concerts like the fall concert, Christmas concert, spring concert, and pop show. They always sound amazing too. Choir is open to all and if you have any questions then swing by the choir room and see it for yourself. Some people that could give you more information are the sponsor/teacher (Ms. Winslow), Officers (President: Steven Tan, Vice President: Davis Duong; Secretaries: Thuy Luong, Benjamin Do, Trinh Vu; Historian: Kaetlin Brown), and other special choir positions that have been added like Student Director, Social Chair, and more but have not been decided yet.